Hi. I’m Allison, and I have been creating kids activities since 1993 and writing about it here on No Time For Flash Cards since 2008, but even I need help sometimes because sometimes I do not have time to shop, to plan, to use my brain for more than a quiz on Buzzfeed. It’s the summer for goodness sakes I need some time off too! 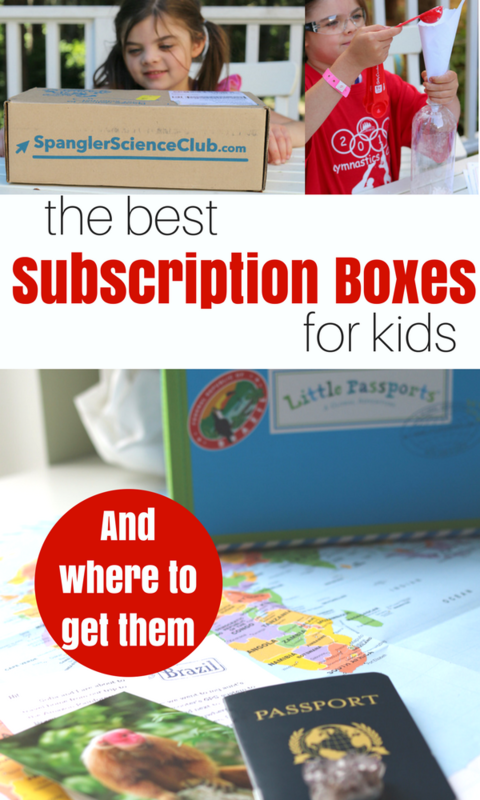 Luckily for us, there is a lot of help out there and some really fantastic subscription boxes filled with engaging and educational activities! I am often asked what age these boxes are best for, and I think elementary school age about 5-10 though younger siblings could join in too. Little Passports is my daughter’s favorite by far. When you join, your child is sent a great mini suitcase, passport, and map. Then every month a new location is explored. 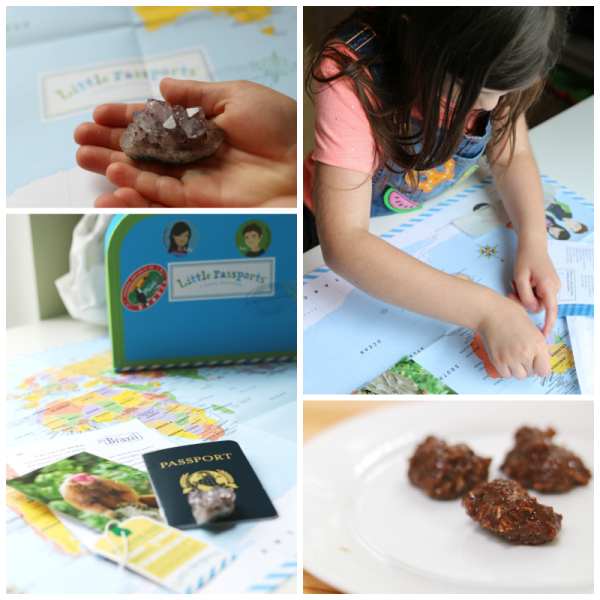 Yesterday our Brazil pack arrived, and we explored the Portuguese language, made a super yummy Brazilain treat and even checked out a real amethyst. I love that this feeds her love of travel and other cultures right from our home. Learn more about Little Passports here. Steve Spangler Science is another favorite. 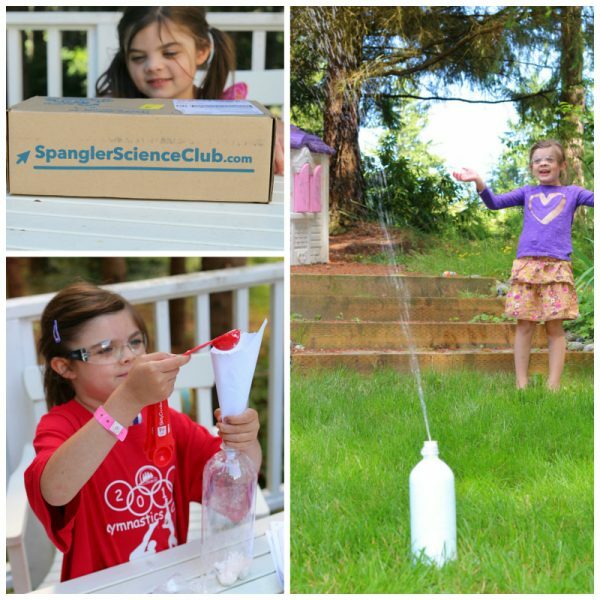 The Eruption kit we played with last summer came with everything we needed, even the Mentos for this huge eruption! 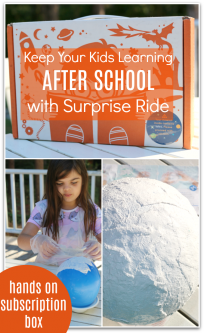 I loved the step by step guide and just how many science activities you can do with every kit. KidStir is for every kid who is addicted to watching Chopped Jr. on Food Network. 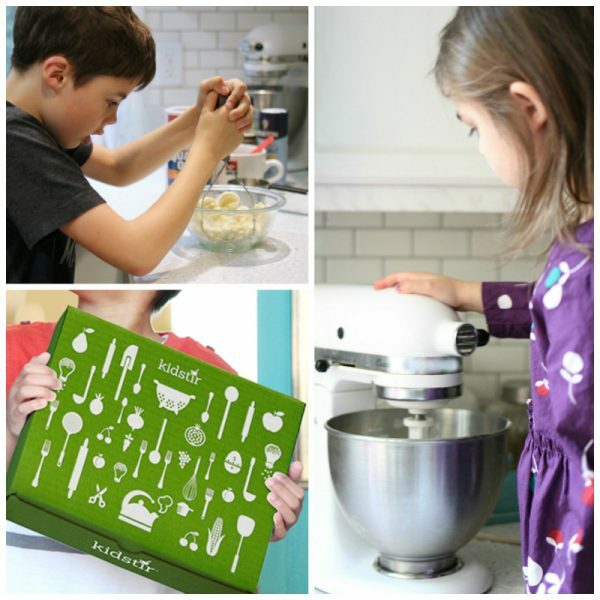 These boxes come ready to help you encourage healthy eating as well as creativity and having fun in the kitchen. I know first hand that getting your kids to cook is key to getting over picky eating! Learn more about KidStir here. Green Kids Crafts is where art and science meet, these boxes are all about STEAM ( Science, Technology, Engineering, Art, and Math) and they ‘re fun too. 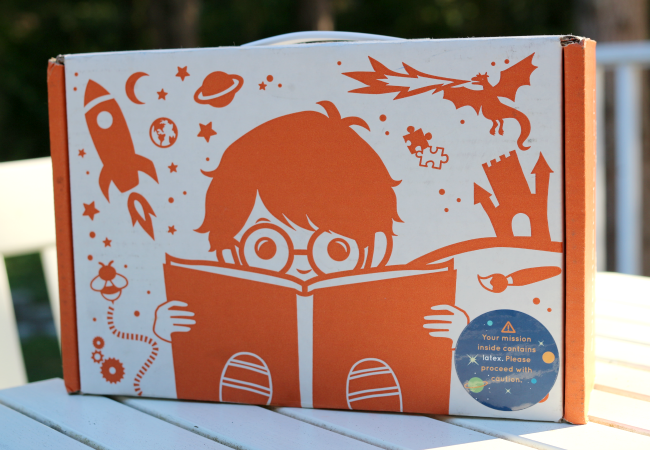 These boxes explore science topics from all different and creative angles and have everything you need to do it inside. Learn more about Green Kids Crafts here. 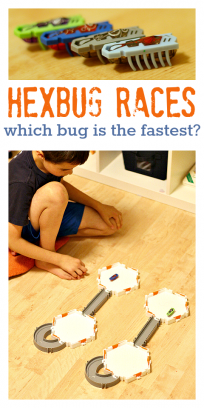 Groovy Lab in a Box is in partnership with Popular Mechanics for Kids which is fantastic! The boxes include activities about water, wind, and even electricity. I like that you can also buy individual kits for your kids that are perfect to send ahead to Grandma’s or the beach house! 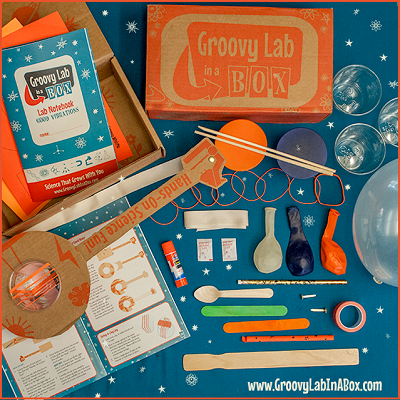 Learn more about Groovy Lab in A Box here. Surprise Ride is rad, my daughter LOVES is and this glow in the dark moon she made with it is still shining months later! Another box included excavating a mummy, and learning all about the California Gold Rush! Check out M is for Monster! 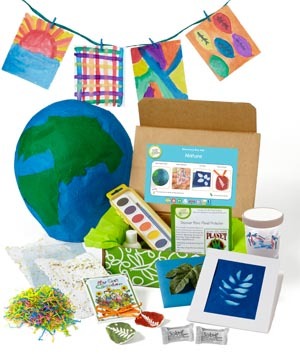 Amazing (ready to learn/supplies included), educational box subscription for ages 2-5. These are so fun! I want to get one for my son for his birthday!